What is an EER rating? Repair vs Replacement, which one do you need? 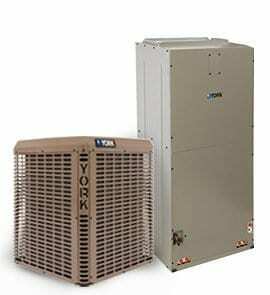 14 SEER cooling efficiency saves 29 cents per dollar versus an older 10 SEER system. Optimized for Southeast USA climates. Reliable operation proven in our extreme, 5-year accelerated test facility. Improved alloy, MicroChannel Coil provides more performance in less space. Monday through Friday: 8:00 a.m. through 6:00 p.m.
Saturday: 8:00 a.m. through 1:00 p.m.